※An accommodation tax of 200 yen per night will be charged.Occupancy tax of 200 yen per night will be charged at the property. 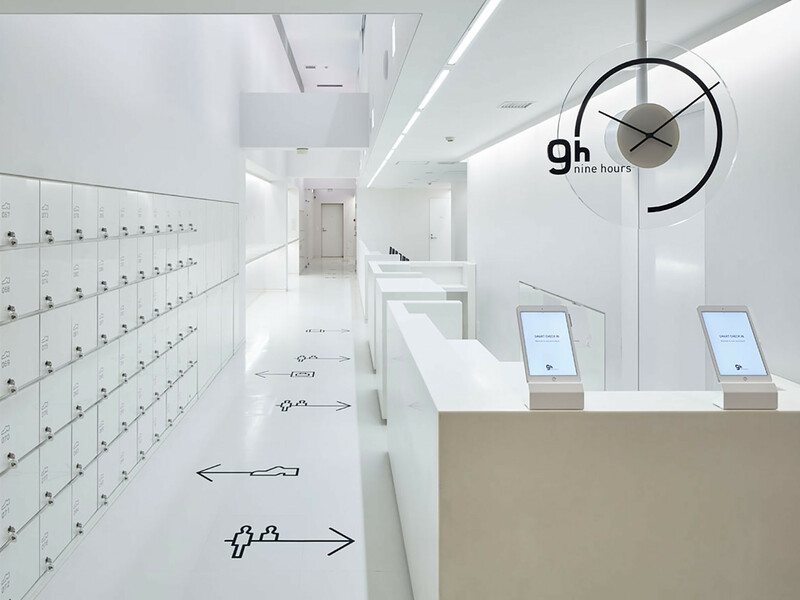 nine hours is open 365 days a year, offering stays for prices starting at just 4,900 yen. Reserve quickly and save with our early bird discount plan.For your convenience, check in anytime.Drop off your luggage before sightseeing or take a quick shower before dinner. Our flexible services accommodate your personal plans. The first 1 hours is charged at 1,000 JPY, with 300 JPY charged for any additional hour thereafter. Usage of bed and shower is included in these prices.Any time between 13:00 and 21:00. Please use freely to freshen up by having a rest or taking a shower, or use the lounge as your personal office. The usage of the shower is charged at 700 JPY, and can be used anytime during your 3 hour stay. We have complimentary towels, shampoos, and body soaps ready for your use so please come empty-handed. If you are arriving later than 24:00, please call us at 075-353-7337. If we have not heard from you and you have not arrived by 24:00, your reservation will be cancelled. After check-in, when leaving the facility please return the key of the shoe box to the front desk. If you lose your key during your stay, we will bear the exchange fee (3000 yen). Please note that keys will be refunded even if you see them at a later date.